It may be controversial, but iOS 7 does have a large number of fans, and if you are one of those, but don’t have access to a developer account, then the next best thing would be applying a WinterBoard theme to bring the look and feel of the iOS 7 beta icons to iOS 6 – well, to the home screen, at least. 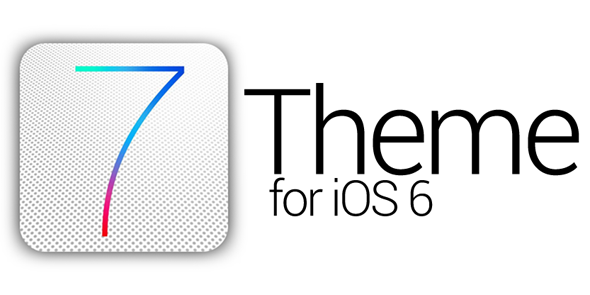 The likelihood is that Cydia will soon start seeing an influx of iOS 7 based themes landing in the coming weeks. Some will be extremely professional and thorough implementations with many user-interface tweaks, whereas some will simply be icon based and leave the rest of the system as native. The iOS 7 theme by designer AR7 falls into the latter category, but although it doesn’t entirely replicate what Apple has done with iOS 7, it does give users a good glimpse of what those controversial icons will look like on their device. The theme itself contains all of the native icons that were unveiled on stage during WWDC 2013. Applying the theme via WinterBoard is an extremely simple process and will immediately update the native apps to feature their new visual launching graphics. App icons like Messages, Settings, Safari and Music are all immediately transformed to represent their new ‘flat’ future selves. The home screen based folder graphics have also been amended with this theme to show off the additional rounding and opacity that has been applied by Jony Ive and his team. Although the icons in this theme are fairly accurate and have most likely been pulled directly from a build of the OS, it doesn’t get anywhere near the feel of the real deal that is iOS 7 beta 1. The re-design of the native apps, the beautiful new lock screen and the gorgeous animations and parallax implementations are all missing from this theme. Though you can get most of that functionality from various different tweaks available in Cydia. The iOS 7 theme is available as a free-of-charge download from the MacCiti repository on Cydia and requires a jailbroken iPhone 5, 4S, 4 or iPod touch 5G, 4G running iOS 6.x.